Afternoon Delight! 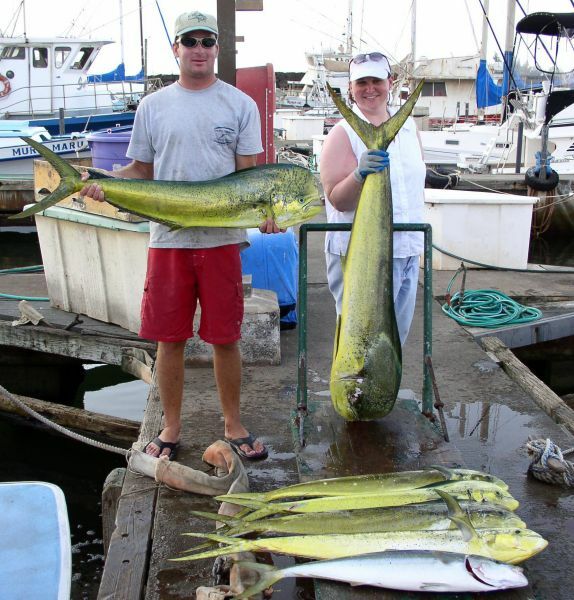 Smooth water, light tackle and hungry Mahi Mahi! Lisa just wanted to get out on the water and relax. maybe do a little reading. Sorry no reading while fighting a fish (Captain's Orders). Just 4 hours of fishing yielded 6 Mahi Mahi and a nice Rainbow Runner. Sweet!